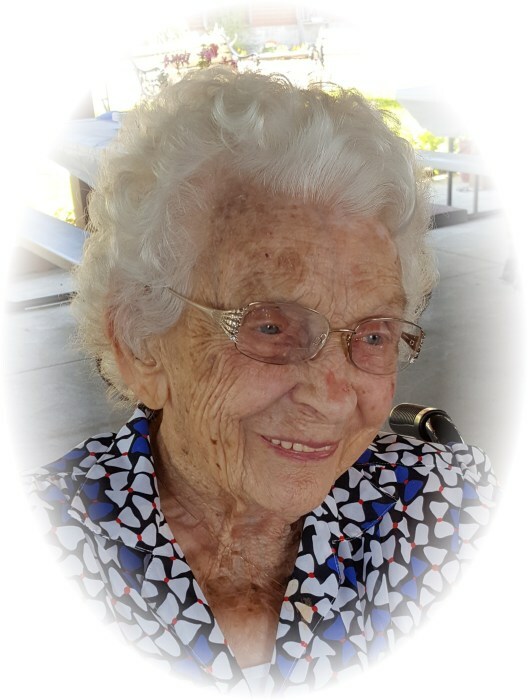 Louise Gatz, age 102, a lifelong resident of Carroll county, passed away Tuesday morning, February 5, 2019 in the Carroll Golden Age Retreat where she had been under the caring hands of their staff and the staff of Crossroads Hospice. Louise was born June 26, 1916 near Carrollton, Ohio and was the daughter of the late Alva Lester and Laura Viola Kimmel Dray. Her life was spent with her beloved husband Lenley "Len" Gatz, who died July 5, 2001. Together they raised four daughters: Donna Sullivan (Companion Lowell Hilty) of Dellroy, OH, Mrs. Barbara (Jack) Coffy of Carrollton, OH, Linda Pope of Leesville, South Carolina, and Dianna Gatz of Walker, West Virginia. Throughout her lifetime many memories were made with family and friends, including many Sunday dinners at the farm. Louise loved to cook, appreciated nature, bird watching taking care of the farm, and gardening. Louise will be missed by her ten grandchildren, 15 great-grandchildren, and eight great-great-grandchildren. Louise was the last living member of her immediate family. In addition to her parents and husband, she was preceded in death by brothers Kenneth (Dorothy) Dray, Rupert (Betty) Dray, Glen (Margaret) Dray and Charles Dray; sisters Pauline (Charles) Herrington and Helen (Roy) Gatts, and a grandson Dalen Lee George. Funeral services will be conducted 3:00 P.M. Sunday, February 10, 2019 in the Baxter-Gardner Funeral Home at Sherrodsville with Rev. Dr. Mike Doak officiating. Calling hours will be held Sunday from 1:00 until time of services at 3:00 P.M. in the funeral home. Private interment will follow on Monday in the Sherrodsville Memorial Gardens. The family suggests memorial contributions may be made to Crossroads Hospice, 3743 Boettler Oakes Drive, Suite E, Green, Ohio 44620 or the Carroll Golden Age Retreat, 2202 Kensington Road N.E., Carrollton, Ohio 44615. To leave an online condolence message, please visit the funeral home website.